Multiple Solutions reaching more job seekers across Adelaide! 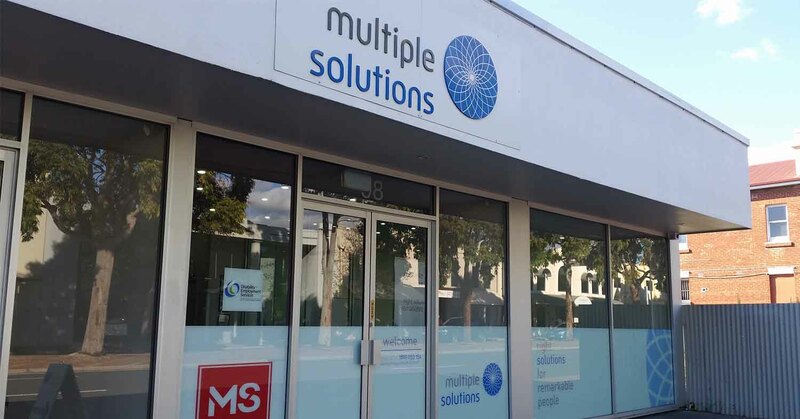 Multiple Solutions has opened two new offices in Port Adelaide and Elizabeth South. Now with nine offices across metropolitan Adelaide, we are conveniently located to support more people with injury, illness or disability to find and keep a job. We are looking forward to bringing our Disability Employment Services closer to job seekers and employers across Adelaide. Our dedicated employment consultants have been supporting people to find work and training, and providing support in the workplace for over 25 years. We offer flexible support at every stage of your career journey, tailored to your individual needs and goals. A number of our offices have also moved to new locations close by! Our new offices have more space, and are conveniently located near other essential services in your area. You won’t have to go out of your way to visit us! If you are already a registered job seeker with Multiple Solutions, there will be no change to your service. If you would like to kick start your career journey with Multiple Solutions, at one of our new or existing offices, get in touch with us! Find your local Multiple Solutions office to meet with an employment consultant today. If you have any questions, or would like to speak to someone about starting your journey with Multiple Solutions, give us a call on 1800 053 154. Keep an eye out on our website and Facebook page for more updates, employment tips and news.